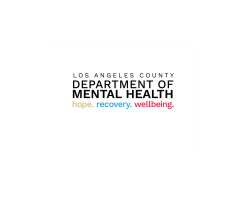 Mental health services provided include assessments, case management, crisis intervention, medication support, peer support and other rehabilitative services. Services are provided in multiple settings including residential facilities, clinics, schools, hospitals, county jails, juvenile halls and camps, mental health courts, board and care homes, in the field and in people’s homes. Enriching lives through partnerships designed to Strengthen the community's capacity to support recovery and resilience.